Tour lasts approximately 90 minutes. Tour navigates through narrow passages and steep staircases, some degree of physical exertion. 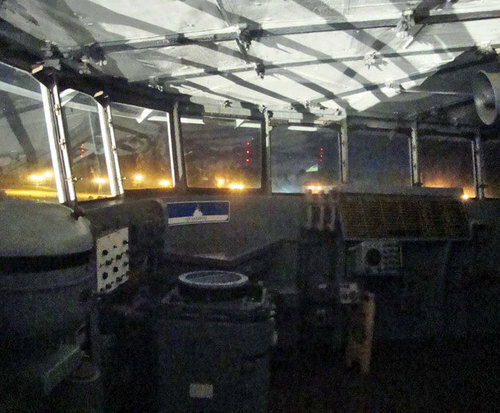 Explore the unexplained peculiarities of a famous aircraft carrier on this mystifying walking ghost tour aboard the Fighting Lady. The legendary WWII aircraft carrier, USS Yorktown, is surrounded by mystery and intrigue. Just six days after construction began on the vessel, the Japanese attacked Pearl Harbor. During her commissioned duty she earned 11 battle stars. Many unexplained stories and presumed paranormal events reportedly take place aboard this ship, known by many as the Fighting Lady. You are invited to step on board the Fighting Lady to hear the stories of sacrifice and devastation which befell many who served on her decks. More than 100 crew members lost their lives while serving aboard this ship, which played a big role in the Pacific Offensive, and was later stationed off the coast of Vietnam in the 1960s. Learn about strange activity reported over the years, like shadowy figures, footsteps echoing through the corridors and mysterious voices. Find out the results of an investigation of the vessel by Syfy Channel's Ghost Hunters. 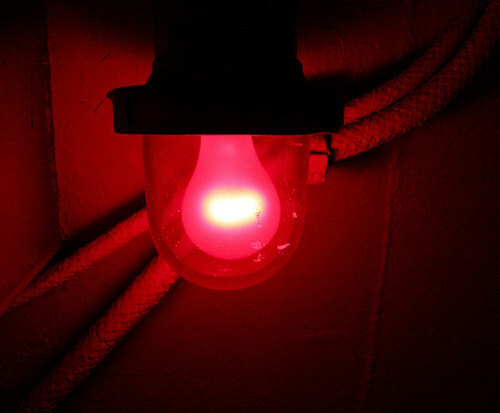 This interesting guided tour will take you through a haunted history, including tales of war heroes, lives lost, and ghosts which some believe haunt the USS Yorktown. 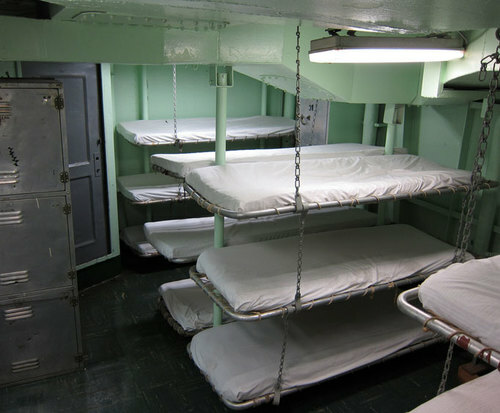 You'll be led through the bowels of the ship and to the flight deck, where many of the paranormal sightings and unexplained activities have been alleged to take place. You'll be equipped with your own ghost meter, so you can measure for yourself just how much spectral influence is occupying the space, on this 90 minute tour. Decent tour. Would have much rather done the day tour of the yorktown. Less of a real ghost tour since all the lights were on but understand due to safety issues. Overall decent tour.